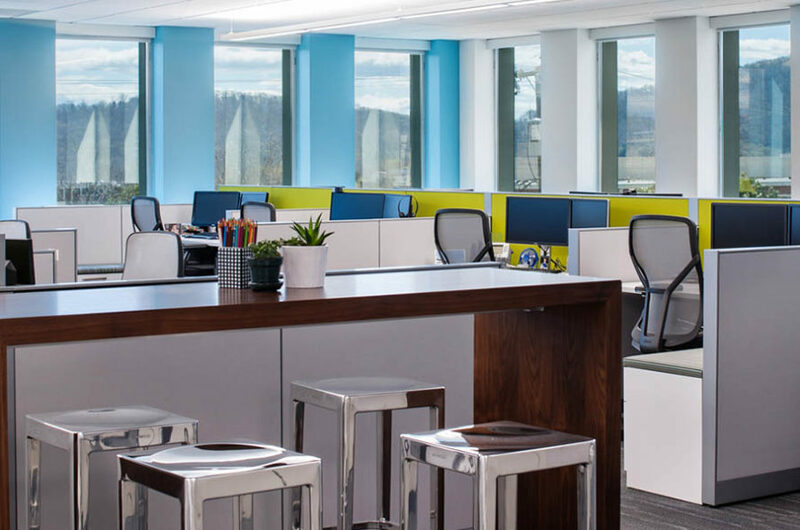 When S&P Global was ready for a new cutting-edge look, they turned to smbw to design their new space and Hourigan to build it. 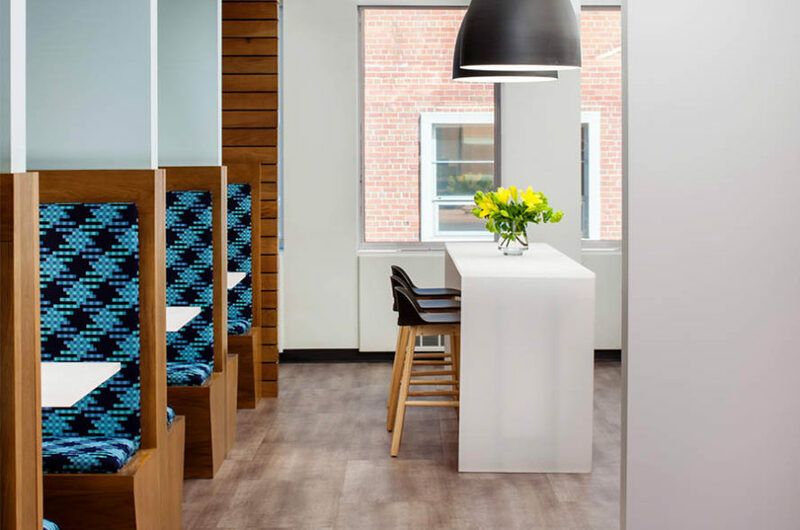 This 11,200 square foot interior renovation in an occupied building took 20 weeks to complete. 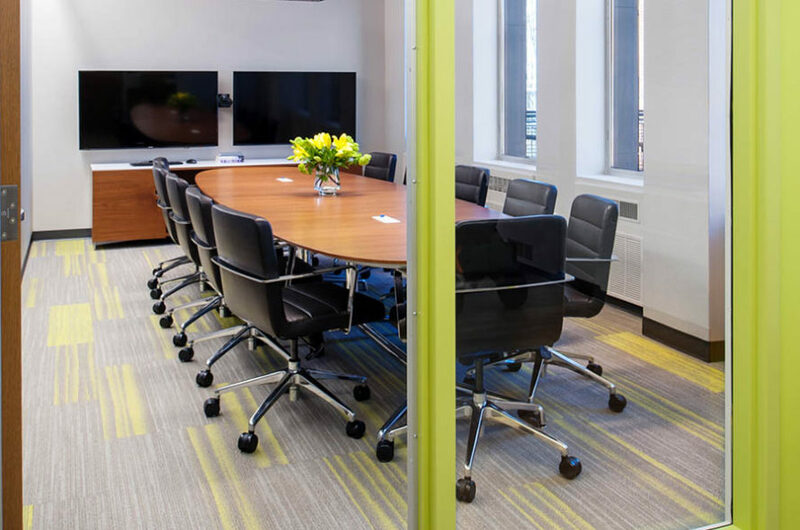 The space is a combination of an open office floor plan with break out rooms for small groups and one-on-one meetings. 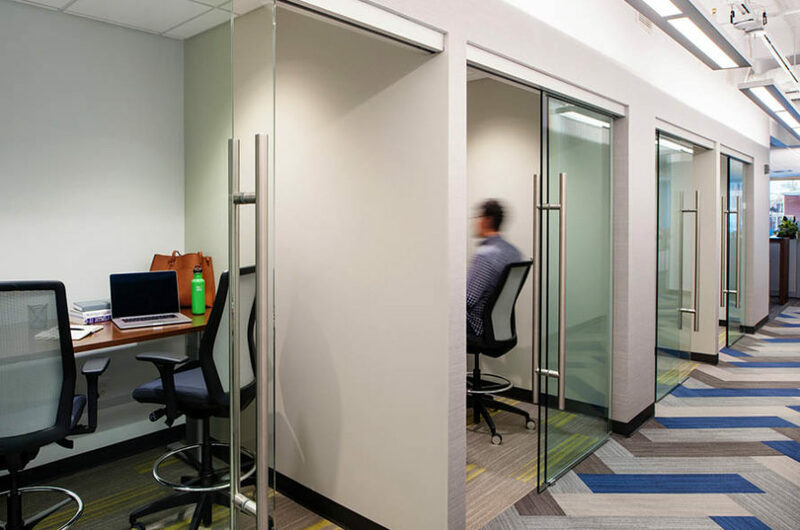 The design blends open ceiling transition spaces with a more traditional ceiling in the work areas for sound attenuation. 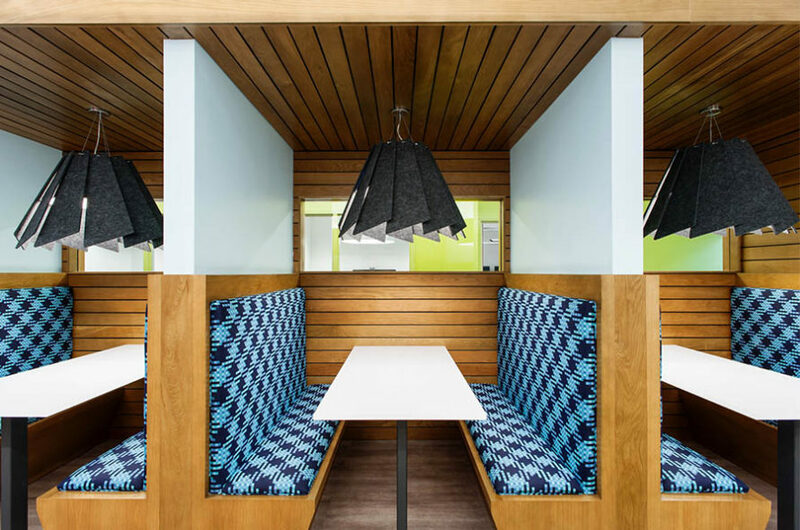 The vivid color scheme and angular shapes’ interaction with large expanses of muted walls adds an element of kinetic energy to the fast-paced environment of on-the-go workers.